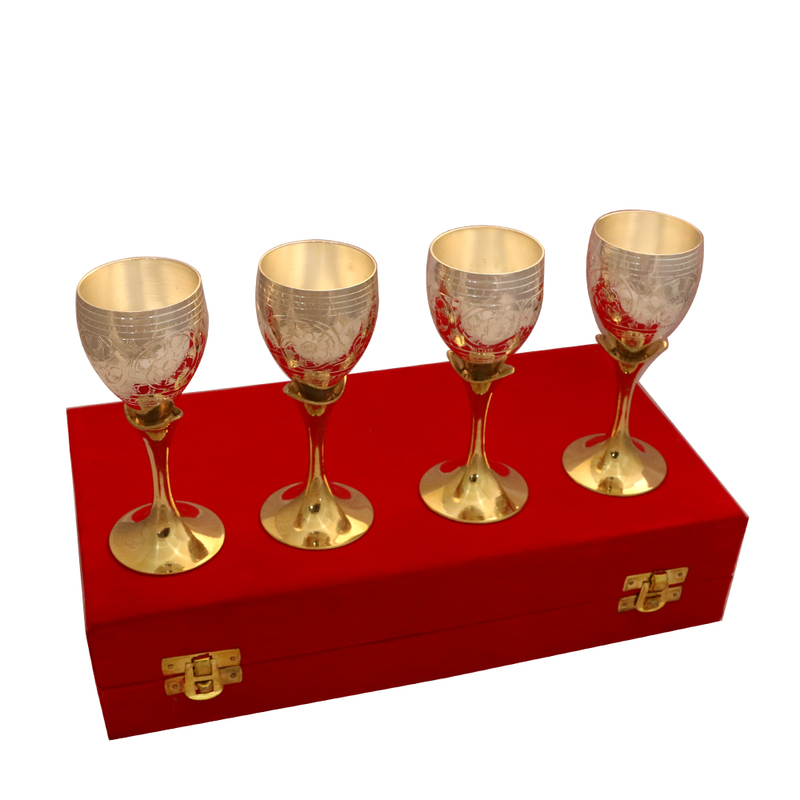 The two tones of silver and gold present on this Set of 4 German Silver Wine Glasses in Dual Tones makes it the perfect candidate Read More..for serving wine in an eye-catching fashion. 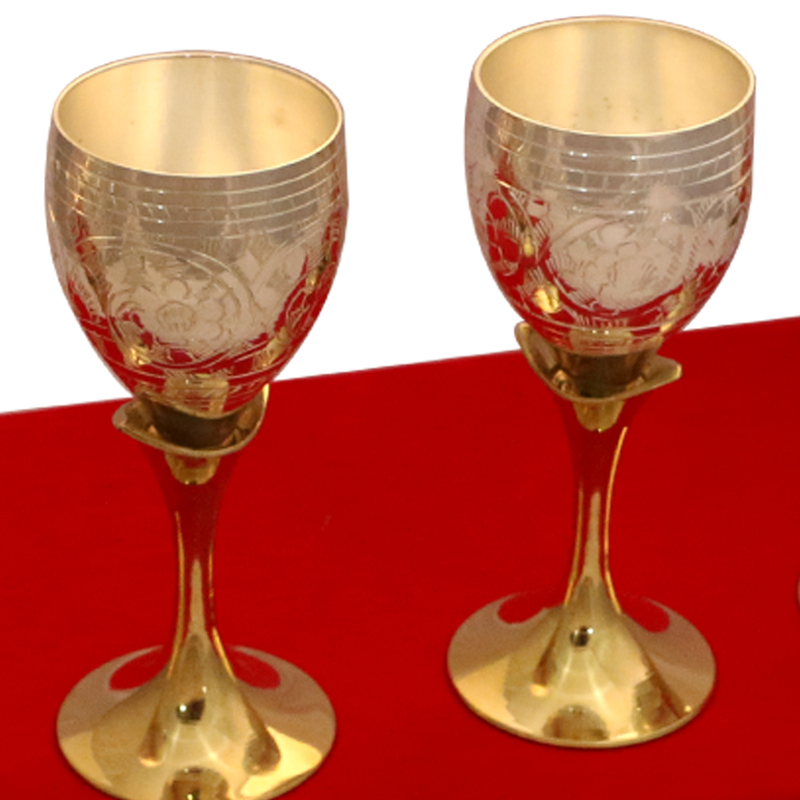 The two tones perfectly contrast each other, with the golden hue in the stem of the glasses accentuating the beauty of the dazzling silver body. 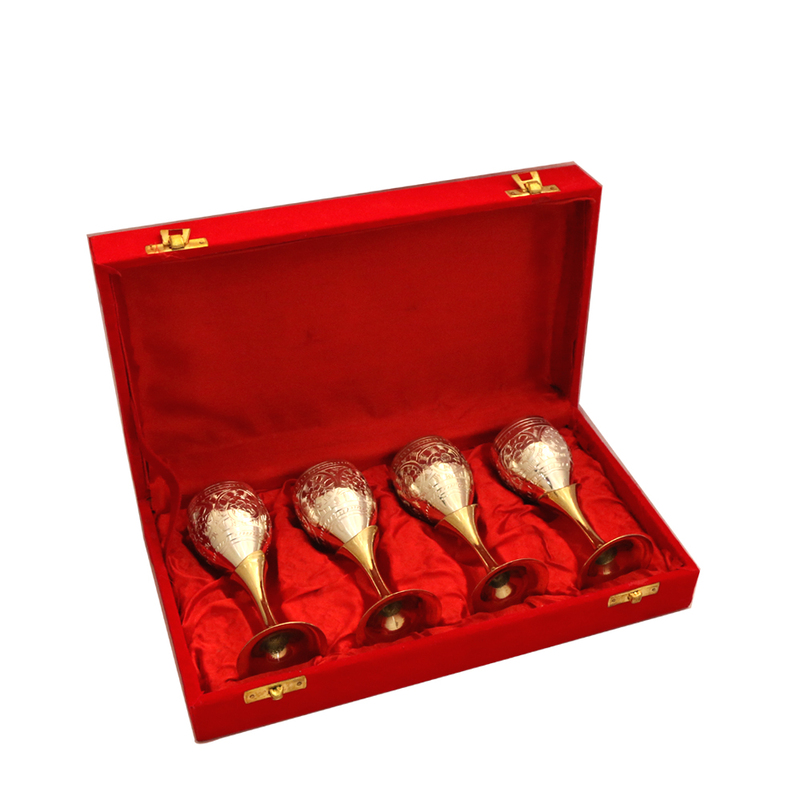 This set of wine glasses can add to the elegance of any home interior, while also being perfectly functional of enjoying wine drinking sessions. Show Less..